Get Out of Your City Immediately! Get out of your city, immediately! Okay, that sounded a bit dramatic, but families and couples ARE making the easy 1- 3 hour drive to Wabash, IN for weekend getaways. Sometimes it’s just to escape the street hustle of the urban jungle and reconnect in a place where the threat of being hit by a taxi is literally not even an option. Don’t let the rural location of Wabash instantly lead you to thoughts of overalls (which are back in style, BTW) and Hamms Special Lite. 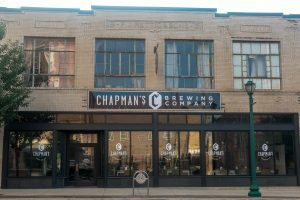 Chapman’s Brewing Company, located in the historic district, is a craft brewery with its own taproom. Beer flights are a must as every month they are tapping a new creation. Kids enjoy the giant Jenga game while suffering from their root beer float induced brain-freeze. If a foamy mug of barley and hops doesn’t get you drooling, then dart across the street to the Wine and Cheese Shoppe. Guess what they specialize in? It’s a wine wonderland of all makes and models and a cheese selection that complements anything that you pour into a glass. Free tastings and wine flights daily. Both the Wine and Cheese Shoppe and Ice Cream and Candy Shoppe are located inside of the Charley Creek Inn, a boutique hotel that puts their guests to bed on handmade mattresses. Many a celebrity has slipped between the Egyptian cotton sheets of the Charley Creek Inn. With the Honeywell Center’s Ford Theater located one teeny block to the west, main-stage stars like Ron White and Jeanne Robertson enjoy the comforts of small town luxury at its best. Once you drag yourself out of bed, guests (and locals) find themselves hitting up Modoc’s Market which is just outside the front doors of the best night’s sleep of your life. Fully staffed with the nicest baristas around, you can fuel up with one of the thousands of coffee combos, grab a scone, and hit the streets of downtown Wabash. Boutiques, art galleries, eateries, antiques, home décor, and books are all within a four-block radius. Downtown Wabash is pedestrian, hand-holding, and stroller friendly. Warn your Instagram followers now! You’ll be posting so many selfies with all of the creative backdrops downtown that you will probably break the internet. Once you arrive, you won’t even need your car/van/SUV/crossover/motorcycle unless you want it. Parking is always free, so park it and leave it or pull up quick to retrieve it and head out to explore one of our five nature preserves. Unlike one of my favorite TLC songs, you can go chasing waterfalls at Hathaway Preserve at Ross Run. This Acres Land Trust property is a spectacular gorge with waterfalls, reef fossils, and 75-foot vertical cliffs. Basically, it’s an opportunity to capture ANOTHER amazing selfie to share with your social media fans! By the time you have explored the great outdoors and wore out the kids, you’ll be ready to sit down for a little nourishment. Trust me when I tell you that it is love at first bite when you dine at Una Bella Pizza Napoletana. 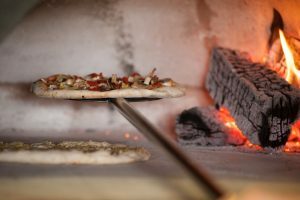 The wood fired pizza is topped with fresh mozzarella made from scratch almost daily. The full menu is riddled with gourmet pizza options, like the Wabash Cannonball. It ditches the red sauce for olive oil and fig puree, and is topped with caramelized sweet vidalia onions and smothered with an award-winning goat cheese. Ahh, your tummy is full and so is the picture storage on your phone. You have signed up for the monthly email from Visit Wabash County, so you can immediately start planning your return trip. Next time, you might rent a cabin at Lukens Lake. Next time, you might just invite your friends and leave the kids with Grandma. But you know there will be a next time because Wabash just does that to you. 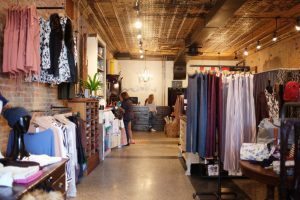 It makes you remember why weekend escapes are always in style, just like those Saved by the Bell-inspired stonewashed overalls that you’ll be wearing the next time you’re in Wabash.